Why do you think the Silver is 33% off . haha! One set of coppers too. I like the colour of copper better than silver anyway. I ordered a set of Pure Harmony plugs, direct from KLEI. They are reported to be the best. But I really should get 1 of each type, and compare. There are no absolutes. I am getting two pairs of Pure Harmony plugs from KL...a pleasure to deal with. Would love to get his cables. Hey Steven is the silver passed its use buy date?? Like many things all silver isnt the same. Would love to get his cables. I've made a purchasing decision that I will be buying a set of Essence gZero6 IC's, in due course (can you confirm they are the ones demo'd at the GTG?). Before I do, I plan to make my own 1.5m set of IC's, based on similar cable config to the set I posted about the other week (except with the Pure Harmony plugs). Yes the cables are Essence gZero6 ICs. They are by far and away the best cables I have heard in my system. I will be buying some as soon as I can afford it. Rawl is making me two sets of interconnects using PureHarmony plugs and Gotham GAC-4 wire. I expect these will be very good, just not as good as the gZero6 cables. 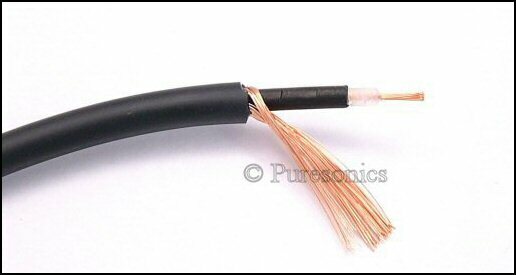 I am also going to get my 1877 phono cables reterminated with PureHarmony plugs. To all who attended the Canberra GTG, how did the Essence gZero6 Interconnects sound against the other cables. Better or worse. Peter, I also tried the interconnect here, and I must say its very very good, Its warm smooth and grainless with interesting lack of distortion, all-over on par with my Yamamura 5000, just different. Both had their moments in the sun, I will get some eventually. Peter how does the top of the line, compare to the cheaper models. I had the gZero6 cables in my system during and after the GTG. They are by far and away the best cables I've had in my system. They have an openess, transparency and sense of liveness that was simply brilliant. It was hard to give them back. I will buy them as soom as I can afford them. I currently have a set of ICs in my system for assessment from an importer. They were sent for the GTG. They cost $5K+ and are very highly touted. They are good cables, but not even close to what the much more affordable gZero6 cables give you. The gap in pretty wide. Was there a direct comparison to any Aurealis cables on hand? What other cables were at the GTG that were put against the gZero6? A pair of Van Den Hul - The FIRST Ultimate by any chance? They are Mario's current reference at the moment (even pipping the Lenehans Ribbonteks, which I thought were excellent already). Tis a pity I wasn't able to get the Rullit interconnects on time for the GTG. They are meant to be 'killers' too. A pair of Van Den Hul - The FIRST Ultimate by any chance? They are Mario's current reference at the moment (even pipping the Lenehans Ribbonteks, which I thought were excellent already). tuyen when my amp arrives I will have a pair gzero6 sent to me. GTG at yours Mario? I will bring some Rullit interconnects and also some DIY interconnects that I will make with Klotz AC110 cable I was given ages ago from Jasper. The Klotz stuff is not expensive and commonly used for guitar/mic cables. Was not paying that much attention to be honest. I can tell you which beer tasted best, That's far more important. Paul uses the VDH First Ulitimate and its a very nice cable...I have had it in my system before on loan. Other cables were Aurelis (didn't use it much), Shindo (didn't really get much of a run unfortunatley), and High Fidelity cables. All good cables, but I know where my money is going.